Whenever I hear those words, “I need to tell you something”, my gut always lurches. Always. Usually–or when we had kids at home, it was followed by a confession of something that had gotten broken during some “rough-housing”…and yes, even daughters do that. Or at least ours did. It’s 11:33 pm and I’ve been sitting on some news since last Friday. So, a week ago we got a verbal answer to a prayer we had been praying for more than a year. Actually, if you want to get real technical and nit-picky, we’ve probably had this on the altar of prayer for about 4 years. Not sure what-when-how God would order our steps, we just knew (and know) He does. 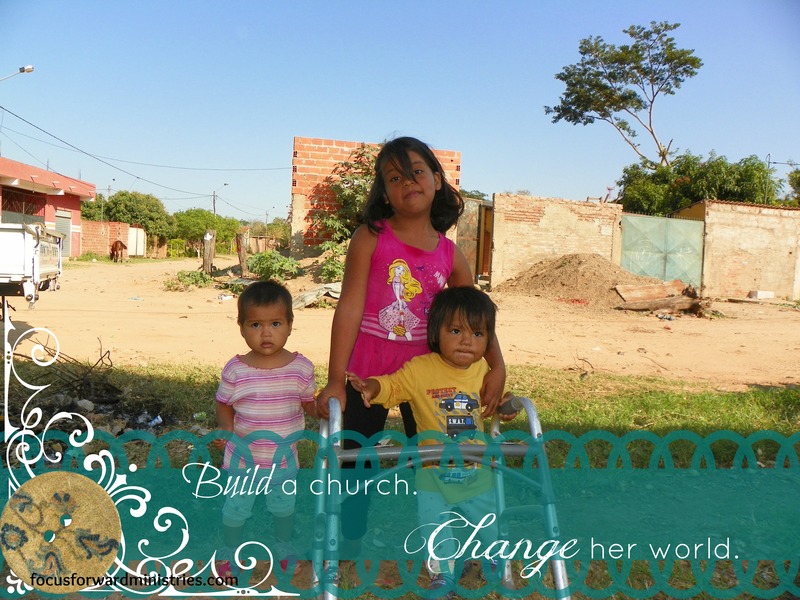 In February of this year, we began the process to become missionaries to Bolivia. Santa Cruz to be really specific. The city and country that claimed our attention and heart after our first mission trip together. We actually celebrated Jeff’s birthday that first year there in 2011. We told very few people. We were secretly fearful that they would find all sorts of things wrong with us. Our past. Our lack of experience. Our age….and when it all boiled down to it, our age did become a factor. After a few weeks of paperwork. Buckets of tears. (Maybe not quite buckets, but I was an emotional wreck for a few weeks.) Anyway, the process began with the big WAIT. Weeks went by. We traveled to Bolivia in May for our 2015 Mission Trip with an incredible Crusade Team and the Focus Forward Team. It was amazing. God opened a new door and two new Schools! We were thankful and saw and felt God move in our lives. The summer came and brought lively camps. Jeff spent every Tuesday sharing our heart for our new mission project with Focus Forward Ministries sharing about The Genesis Project. The BIG WAIT continued. Still no word. Finally a letter arrived. Not quite what we had hoped. Actually, it was nothing like what we had prayed for nor expected. We felt sort of shuffled. Aside. Tears. Prayers. More tears. And finally, I settled it in my heart when I handed all my dreams and plans over to God. Jeff pretty much said the same thing. God had been working in each of us–and we were having the same feelings in much the same direction. We were going to wait on God no matter what He said or no matter how long it took. We knew He had a plan–and it was HIS plan–not ours that we wanted to see fulfilled in our lives. Later in the summer we began to prepare for our ordination exam. Nerve wracking to say the least. It was like, “let’s just add a bit more stress and anxiety to the mix!”. I remember being outside one day–I can’t remember what I was doing–but I felt a “stir”. It was one I had felt before. It was like “something is coming”-– I felt a definite change in the air. Maybe that “something” was news. News. Maybe it was changes in our lives. It actually was both. Our District Superintendent and his wife, who is also one of our oldest and dearest friends came to our house last Friday night with the “news”. He played a recorded voice mail (which I recorded for future encouragement–who knew I would need it even this week!) of our “approval” to be missionaries to Santa Cruz Bolivia! Under the supervision of a great missionary couple that we had the privilege of working with THIS YEAR! God planned all that out in advance! This is really skimming the surface of the news….but I needed to tell you…. After all, so many of you have been praying for us… and when things looked the bleakest— God was working on our behalf. Just in case someone out there in “la-la-Blog-land” thinks that life in ministry is a cake walk–let me sit your sweet self down and assure you, nothing is further from the truth. Life in ministry is, ahem, well, to be quite frank, it can be hellish at times. I mean, you aren’t exactly grooming the lawn of heaven. You are storming the gates of hell and trying to save those through your messages, preaching, teaching, blogging, loving and sharing Christ with the lost… You are pointing “souls to Calvary’ as the song says. And no one wants you to fail more than the devil himself. With every sinner set free he’s lost another battle. That infuriates him to no end. BUT to think, that someone would be willing to step out in ministry–to pastor a church, teach a Sunday School Class, lead a choir, or travel across the ocean to minister to a people that has no clue that they can have a real relationship with a God they’ve never heard of? That’s the last straw for him. He pulls no punches. He hits hard and fast and seemingly continual on some days. BUT, I also want to tell you that life in ministry is unlike any other. The blessings of seeing one that you’ve been praying for come to know Jesus Christ as their personal Savior, well, no words can describe that. Or seeing that complete stranger seek God…or those little kids clutch their Bible as if it’s Life itself… and it is. To hold the hand of a friend as she leaves this life, knowing her next step and next breath will be made in the presence of her King…oh, friend. There is pain mingled with the joy–but the joy surpasses it all. In 2010 I heard distinctly God call me to walk closer to Him. He had in fact, been calling me closer for about 3 years…then a strong pull during the last 2 months of 2009, then WHAM!. The day came and it was so loud in my spirit and heart that I felt surely someone else heard it too. But no. It was just for me. It was undeniable. I even felt like the Marine Corp road signs at that point were all for me. Can I ask you to pray for us? We’ve so much to do–and I feel the urgency of the hour upon us. We are almost out of time–and there are lives yet to be given a chance to know Him…we want to share Him with them. We can’t get there without support and prayers. PLEASE PRAY. That’s most valuable right now. There’s more to share–but now that I’ve finally gotten that off my chest and mind–I think I can sleep….. This entry was posted on Saturday, September 12th, 2015 at 6:01 am	and tagged with Bolivia, comfort zone, Faith, Missions, prayer and posted in Missions. You can follow any responses to this entry through the RSS 2.0 feed.